The Twin in Berlin: My Heart Was Just FULL I TELL YOU FULL Of Love And Joy. My Heart Was Just FULL I TELL YOU FULL Of Love And Joy. Yes I am ALMOST 100 percent normal. Only a small cough remains. I have drunk lots o' tee this week!!!! Good thing my companion, Sis Brim is the best ever!! She has really been sweet and helpful and patient this week while I was sick. Alright let's get to the good stuff. On Thursday the weather was GORGEOUS so we decided to buy a bunch of flowers and take them to some less actives/investigators/RANDOM PEEPS ON THE STREET yes that’s right. haha that was quite an adventure!! So the first lady we went to is a less active in the ward, since I’ve been here I have only been able to talk to her ONCE on the phone, and I’ve seen her ONCE in person at her door, but she had a besuch so she couldn’t let us in. BUT we went by, she opened up the door, looked at us for a few seconds, then said, KOMMEN SIE REIN. aka come in. AWWW YAAA. a miracle!! That was a really nice, visit, she talked much about her family and her current problems. We gave her some solid support and encouragement, and were able to say a prayer with her. She just kept getting more and more excited to show us pictures and give us chocolate as time went on. It was solid. The rest of the flowers were mostly well received. Not gonna lie, if a stranger on the street tried giving me a flower on the street I MIGHT be a lil suspicious...so I can respect the rejection and the weird looks we got. But there were also many grateful and precious people who were happy to take them!! Doin work! Yesterday we had ward conference! That was fun!! The place was packed. We were hoping that one girl we talked to a few times in the week would come, but she couldn’t make it for one reason or another. naja. The bishop and the stake president gave great talks. haha, one of the counselors had to translate the bishops talk for him, that was fun to hear a talk in englisch! After church the whole ward stayed and ate together. 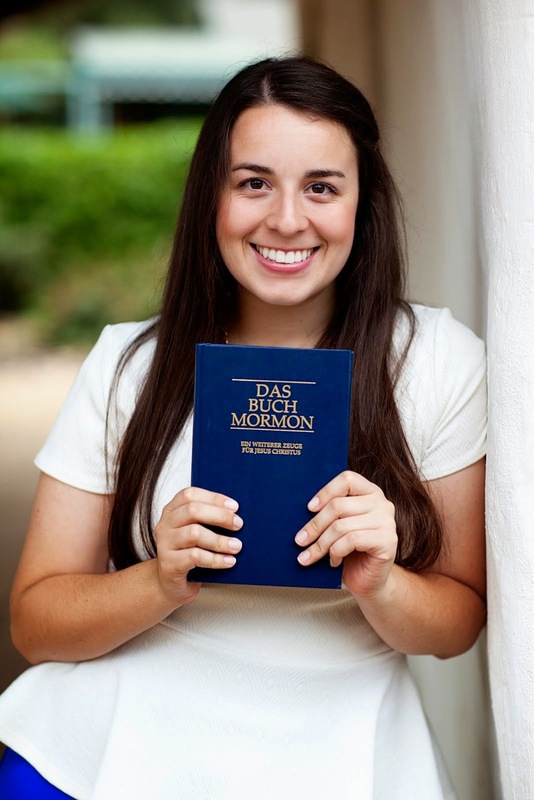 I got to talk to Sister Becker for a few minutes about how awesome their family is, and how they are seeing many blessings in their life right now. They are recent converts, and have been here in Lübeck since august. I looooovoe the Beckers!!! bruder and schwester becker are going through the temple this week, and I am just soooo excited for them!!! Seriously after we went home yesterday my heart was just FULL I TELL YOU FULL of love and joy. I was so happy. Man I never thought I could feel so happy as I have been feeling on my mission. TRUTH. I have had so many small experiences of just being so overjoyed and full of the Spirit. I LOVE IT. So this week was a little slow otherwise. I mean, number wise one would say it's goin slow, but I totally think ITS HAPPENIN. Lots of looking for people who want to listen. It is hard, but I can feel the Spirit guiding us in many ways. Preach my gospel says that we can be satisfied when we feel the spirit working through us. AND I DO. All is well. Thanks for the prayers, and support. I love being here, and I love giving all my time and effort to the Lord. I try to give it all, because I know that one day when I am home I will still wish I had given more. As a mission in our BOM study, we read Alma 5 today. I am sure that one day after this life, we will wish we had given a little bit more if we didn't. START TODAY. It’s all about making conscious efforts to change, and doing it!!! We are much more capable at that than we realize. I know that the power of the Atonement is real, we can change into better people. Into the people the Lord would have us be. He has created us, and He loves us. He has a plan for us that is perfect and possible. I know it!